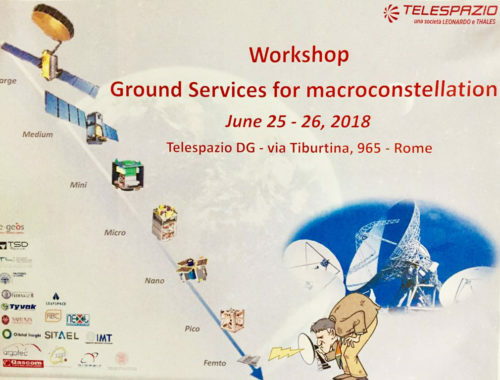 GAUSS is participating in the Workshop on Ground Services for Macroconstellations (Servizi Ground per Macrocostellazioni) organized by Telespazio on June 25-26 2018, in Rome, together with a number of Space companies and Universities. During the Session about “Microsatellites and macroconstellations: from components to deployment”, GAUSS is giving a Presentation titled “From concept to launch: GAUSS approach to the small-satellite segment”, highlighting UniSat Platform and the Ground Station experience with small satellites. 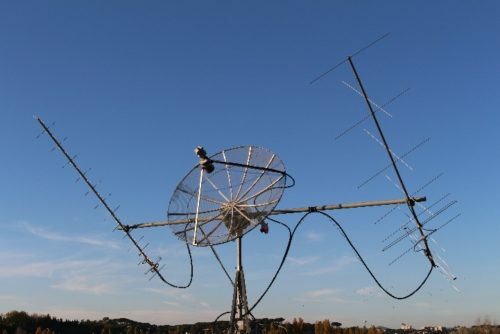 Indeed, among its services GAUSS has developed a fully automated Ground Station located in Rome – designed for VHF & UHF (uplink & downlink) and S-Band (downlink) – that carries out operations of satellite communication, tracking, monitoring and command. The Company also provides support for in-orbit operations and offers both consultancies and the complete hardware & software kit to build a customized ground station.